A simple and beautiful interpretation of Elizabethan/Renaissance jewelry: one intricate filigree setting off a glowing amber glass cabochon. 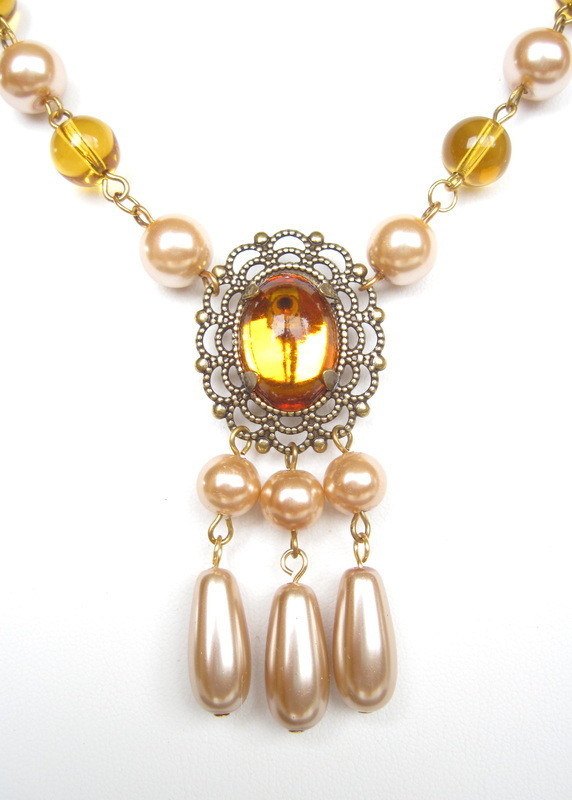 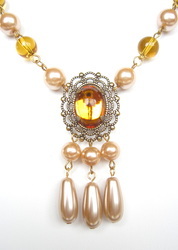 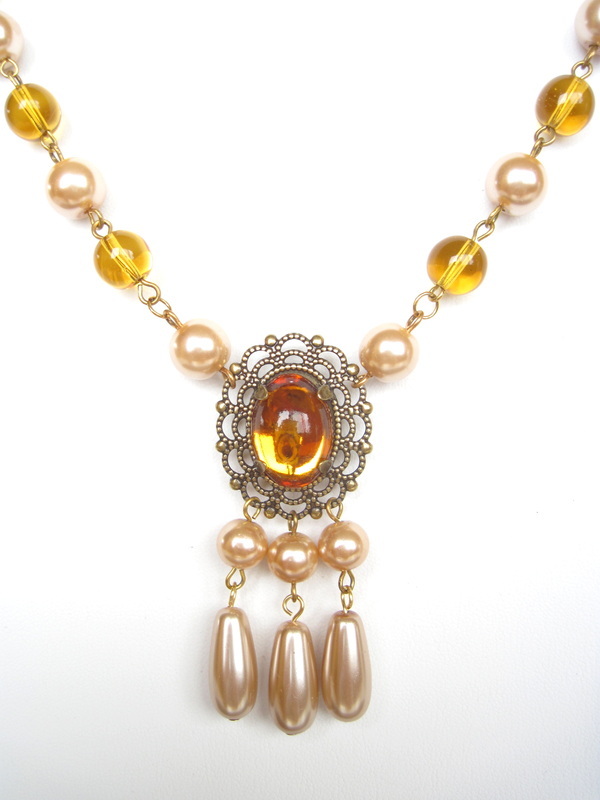 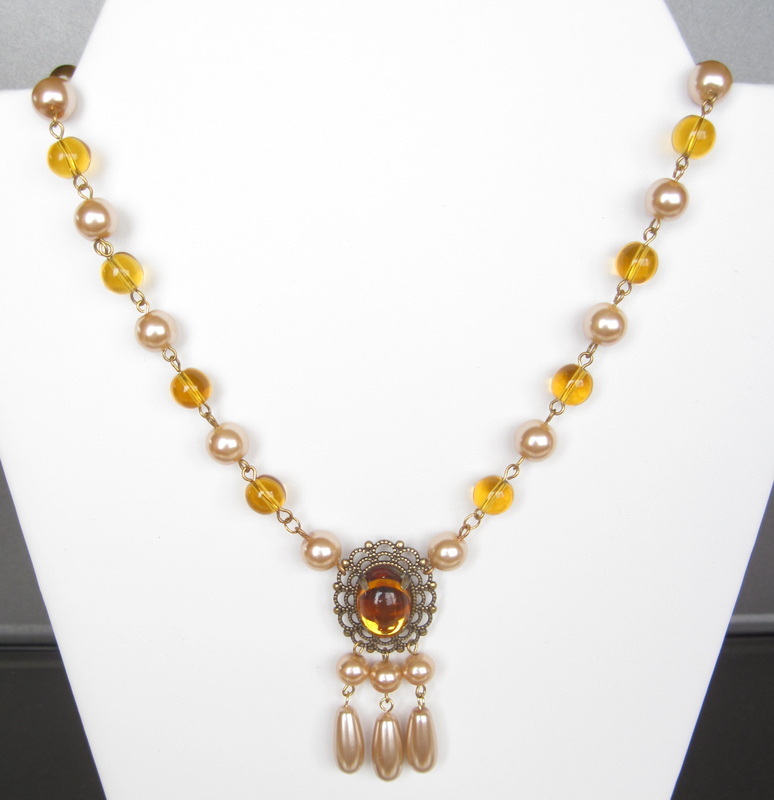 Lustrous bronze-tone pearls alternate with glowing amber unfaceted glass beads. 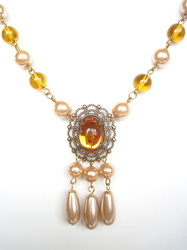 Three teardrop pearls complete the look. 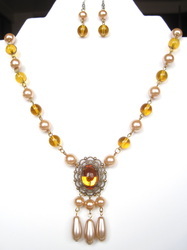 The necklace measures 19" and the earrings dangle 1" below surgical steel french hook ear wires.